I used to have this joke about luxury cars: "I'm amazed they make a $50,000 car without turn signals." It's a joke rooted in anecdotal evidence, but would it stand up to a real experiment? Using your turn signal is often a selfless act. You are signaling your intentions, not for your own benefit or safety, but to let people know that you are going to be out of their way in a moment. Your signal saves them time. 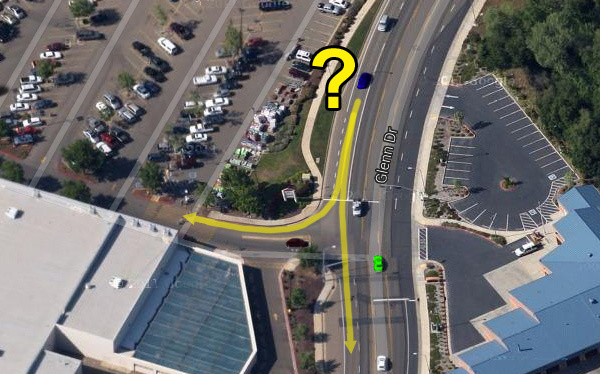 A great example of a prime time to use your turn signal is illustrated in the map above. 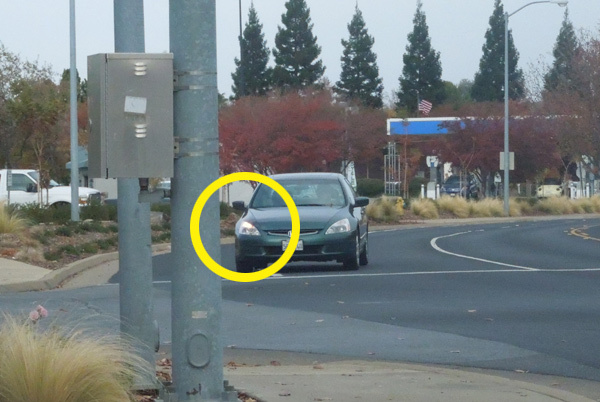 The blue car is traveling down the road, approaching the entrance of a shopping center. Is the driver going to keep going straight, or is he going to turn into the parking lot? He should let us know. Two other drivers are watching the blue car, waiting to see his next move. There is a green car waiting to turn left into the parking lot and a red car waiting to leave the parking lot. For the blue car in this scenario, this is a very good time to signal his intentions. Last Thursday, I took careful stock of who was signaling and who wasn't. Well, I didn't interview them, I just wrote down the make and model of their car. 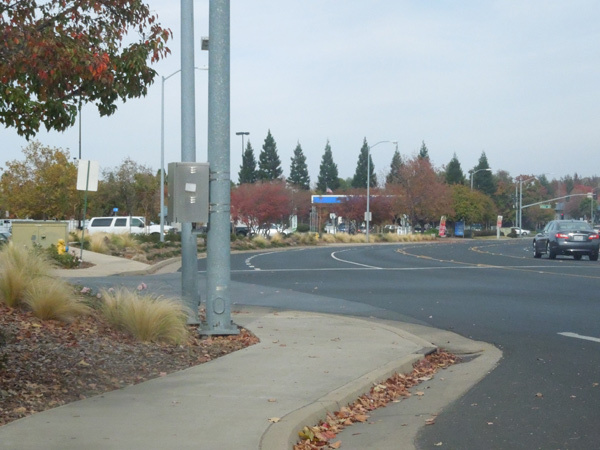 Positioned at a nearby bus stop bench, I watched car after car speed past this very same intersection in Folsom, California. Some of them turned in, some of them kept going straight. Who signaled? I kept track of which cars signaled. I watched 80 cars turn here, some nice, new cars, some old, junky cars, keeping careful track of who was signaling their intentions. Here's what happened: Over forty minutes, everybody who turned used their turn signal. It was 80 out of 80. Rich or poor, new or old, electric mini or diesel SUV, 100% of the turning cars using their signals, helping their fellow drivers! This would have been an interesting surprise if one segment of the driving public had been shown to be selfish bastards behind the wheel, but it didn't. Instead I was shown that the vast majority of drivers on the road are decent, thoughtful people. It was the nicest possible result.